Is this your first visit to our website? On this page, you’ll find answers to some frequently asked questions about Unity Valley Church. We average about 37 people per week (30-46). You are lovingly greeted by our community and receive a newcomers’ packet. Your children are invited to join our Sunday School class, learning more about Unity. Following the service, you are all invited to join us for a meal and social time in our Fellowship Hall. 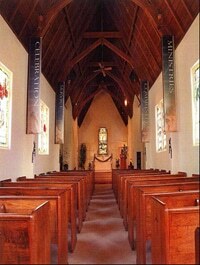 Unity Valley Church is a welcoming community with a casual environment. Most of us will be dressed casually. Several people like to dress in their Sunday best. We welcome any style that makes you feel comfortable. Unity Valley Church is trans-denominational. We embrace all spiritual teachings and follow the teachings of Jesus as our wayshower. To those seeking spiritual growth, Unity offers a positive, practical, progressive approach to Christianity. Unity is viewed as a movement in consciousness, rather than as a religion. It is not your parents’ religion. There are many ways to get connected with Unity Valley Church’s community. Please check the Calendar find out what’s happening this month. Volunteer opportunities within one of our community offer meaningful service with others who share your interests.